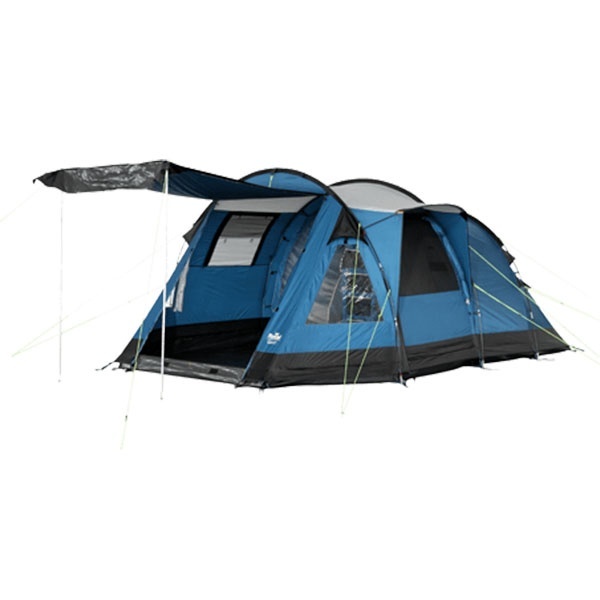 New for 2015 from Royal Leisure the Brisbane 4 Berth Tent, feature packed this 4 person Tent is perfect for a small family or touring couple. 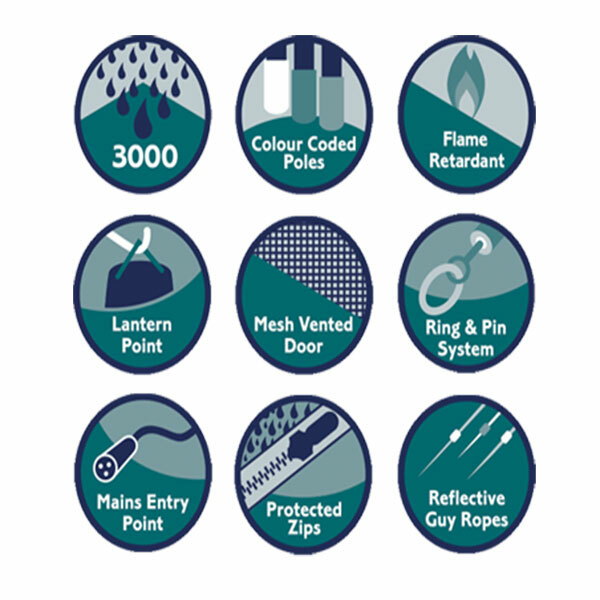 The Brisbane 4 has a covered side door for protection against the elements , Mesh Door for Ventilation together with drop down groundsheets on both Doors. A large window for enhanced visibility. 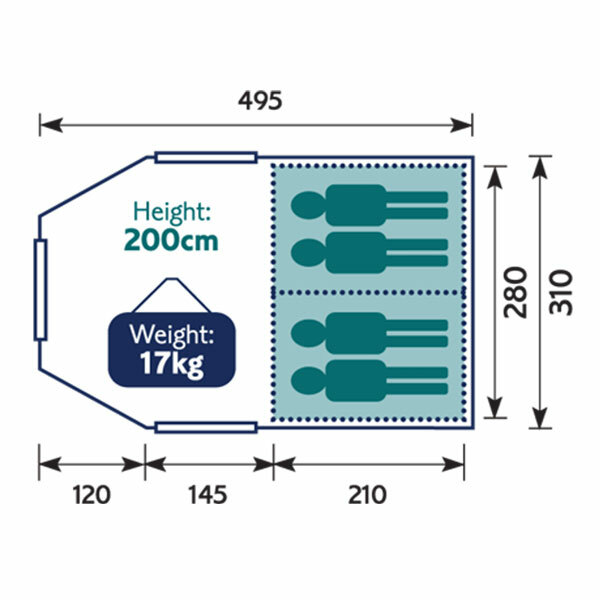 The 4 person Sleeping Compartment can be split to 2 x 2 berth. Great small tent to take camping or to a festival.